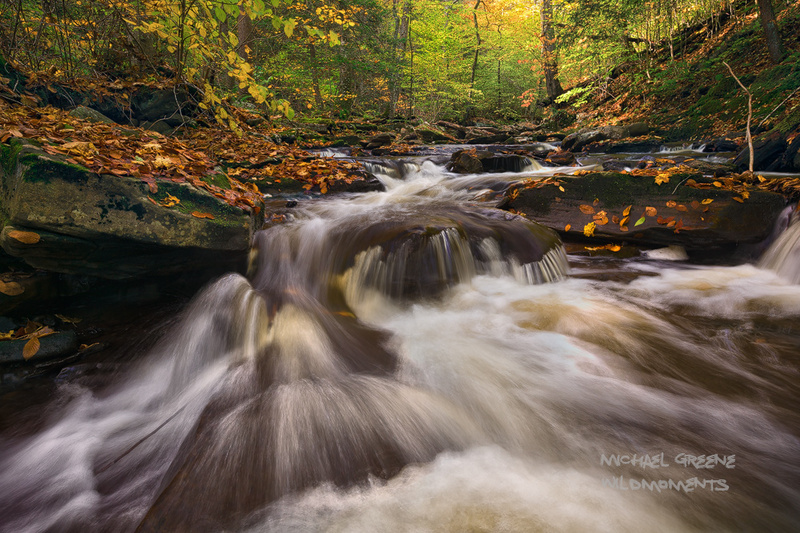 An incredible section of cascades in Glen Leigh Gorge in Ricketts Glen State Park. This well-known park features 23 miles of hiking trails and dozens of waterfalls in northeastern Pennsylvania near Scranton. Visiting the park in October during peak autumn colors is highly recommended. Photo © copyright by Michael Greene.